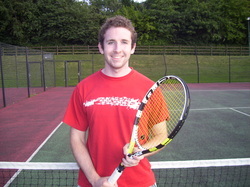 Conor Campbell – Finalist in the Rostrevor Men’s doubles, Conor is a great talent and has all the shots. He has a great attitude on the court and keeps his head when the pressure is on. With a little more consistency he could go all the way. 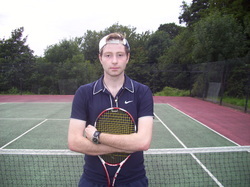 Kieran Campbell – A competitive and aggressive but fair player, Kieran makes the game look very simple; a fantastic retriever who likes the net. 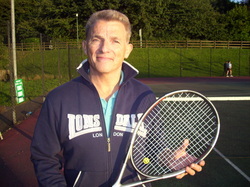 Forehand and backhand are both strong but the backhand stronger. 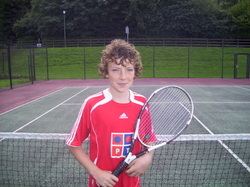 Jamie Campbell – A great all rounder who gets better and better. There are no weaknesses to Jamie’s game but keeping the competitive fires burning throughout the match has sometimes proved costly. 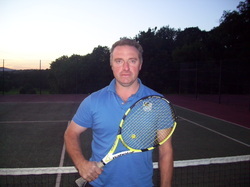 Patrick Clements – An extremely tough competitor, Patrick consistently hits deep and powerful double-handed backhands and forehands. Few can go toe to toe with him from the baseline and if you brave the net he’ll surely pass you down the line. 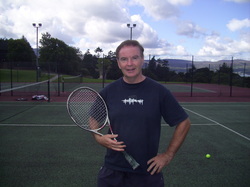 Eamonn Crawford – A tennis veteran, Eamonn is very competitive. 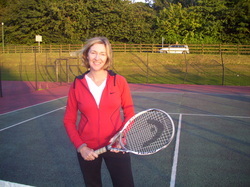 A left-hander with the McEnroe serve and touch. 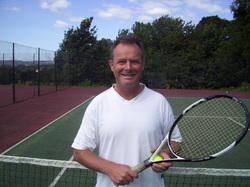 Fintan Farrell – Fintan has terrific double-handed forehands and backhands and more often than not directs them down the line. 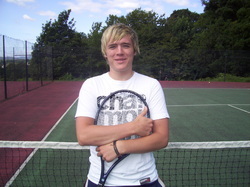 Chris Gibbons – A lefty with flat and spinning serves and a good defensive arsenal. 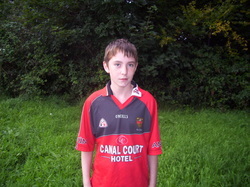 Seamus Haughey – A Dundalk player and winner at the recent Newry Evergreen’s tournament. 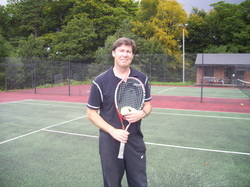 Seamus played at county level in gaelic football and puts his sporting talents and competitiveness to great effect on the court. A great player who is not scared of the big points. 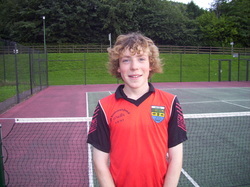 Marty Keenan – Probably the best left-handed player in Newry, Marty has great shot selection and hits with pace. 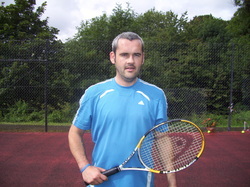 A finalist in the mixed doubles in Rostrevor earlier this month. When Marty is on song he is very tough to beat. 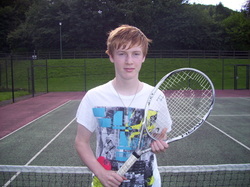 Michael Leddy – A keen competitor, Michael brings to the court a great attitude and some good shot-making. Arghal McMahon – One of Rostrevor’s best. 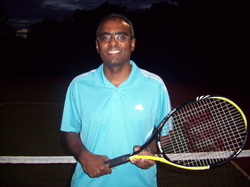 A great all rounder and current Winter league champion. One to watch out for. 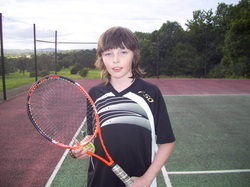 Eoghan McMahon – Unlike so many teenage players, Eoghan keeps his head on the court and patiently waits the time to strike. There is no aspect of his game that is weak and he is a true Gentleman to play against. 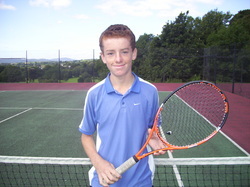 Peter Madden – A very good junior in his time and only latterly returning to tennis but his talent is clear to see. Jordan McManus – As with a number of our juniors, Jordan has been groomed in the Rostrevor coaching scheme and he has all the makings of a great talent. Paddy McKinley – ‘The Wall’. Paddy seems to return almost everything, not necessarily with pace, but almost always returned! 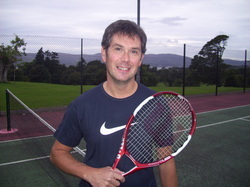 Sean McKevitt – Playing Sean is like doing a warm up with Andy Roddick only his serve is faster! Thunderous forehands but can he sustain it for three sets!? 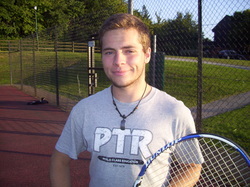 Chris Monahon – An excellent junior player who is improving almost every week. 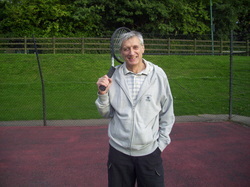 He has great double-handed forehands and backhands and enjoys an attacking game. If he works at being a little more patient, waiting for the breaks to strike he could be a serious threat. 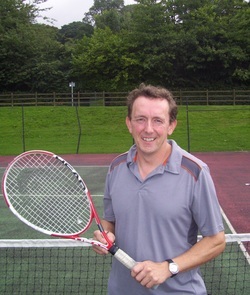 Manus O’Hagan – Great serves and flat forehands and 100% effort given every time. A tough competitor. It is no surprise he is the father of one of Ulster’s best junior players. Ryan O’Hare – A real talent, Ryan makes the game look so easy. All elements of his game are strong but he must keep the concentration for the duration! Marty Shields – Fit and very competitive, Marty gives everything to a match and has a great selection of shots in his arsenal. 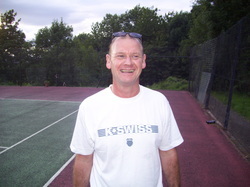 Tim Smith – seeded number one for good reason, Tim is winning more and more and hits all the shots – booming forehands and especially backhands and killing drop-shots. The man to beat. 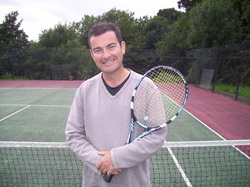 Denis Wolinski – The eldest entrant but one will struggle to find an opponent who gives as much to every shot. Stanley Wilson – A Dundalk player and winner of the Newry Evergreens tournament last month, beating some of Newry’s best players, Stanley is a fantastic player with a never say die attitude! One of top seeds here. 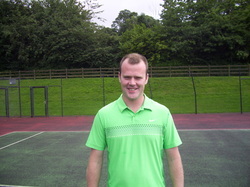 Giby Ventiankel – Giby has been seed one or two at Newry for years and there looks to be no change in that position. He has all the shots and great balance on the court. He appears to get to everything and with time on his hand too, and he puts the ball back in court at the furthest point from his opponent. Rarely is Giby beaten. 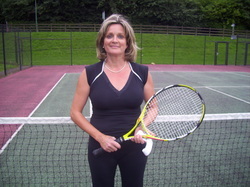 Derval Campbell – A very competitive player with a passion for the game. 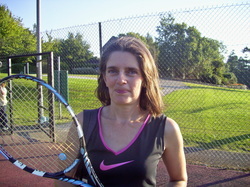 Derval hits with pace and variety and wins most of her matches. A tough competitor. 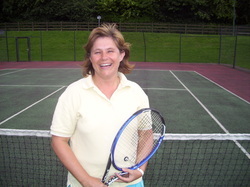 Briege Crawford – An impressive player, who, while not playing that much now is still able to bring it to the best. A difficult opponent to beat. 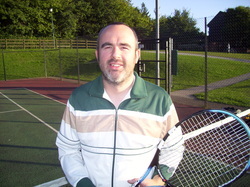 Creina Fegan – A good all round talent and very competitive. Creina hits it hard and has great shot selection. 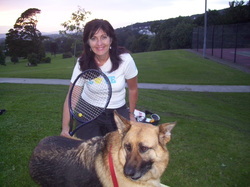 Irene McManus – A very consistent player, Irene enjoys the game immensely and is a great retriever. She hits the ball with depth but needs to put a little more top-spin on the ball to make that a lethal weapon. 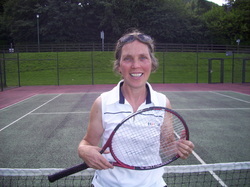 Ber Hearty – Very competitive with a polished game and shot selection. 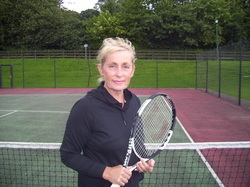 Brigid McMahon – Mother of a tennis dynasty and all her sons share her competitive spirit for the game. 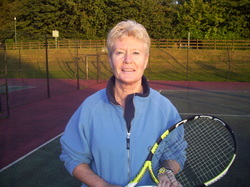 June McEvoy – Seeded one. June is one of the best lady tennis players in the area, June is very competitive and enjoys playing aggressively hitting it low and flat. Sinead O'Reilly - A stylish player with good shot variety. With a little more pace Sinead could outwit more of her opponents.